I think there are all kinds of problems with that approach, but the idea does raise some interesting questions. How would you score on such a test? I sometimes meet people who say things like, “I’m not very religious, and I’m not active in any church, but I do consider myself very spiritual.” What they probably mean is that though their life is devoid of religious disciplines and practices, and though they are not committed to any particular church institution, they do have an interest in spiritual matters, a fascination with things of the Spirit, and an openness to God and faith. On the other hand, there are those who for some reason have a connection to a church, but don’t, as the psychiatrist would say, have much of ‘a knack for religion.’ For example, I knew of a woman who had a daughter whose participation in the church youth group had been a positive influence in her life. Out of gratitude this mother did volunteer work with the church food shelf. She spent many hours serving in that way, but she never once went to Sunday morning worship. When the pastor asked her about this, she replied, “Oh, I’m just not very good at that sort of thing. I can’t see the point of it. Other people seem to enjoy the music, and the sermons, and all the rest, but I confess that I just don’t get it. I’m not good at religion.” What? Not good at religion? This is the kind of woman that psychiatrist would want for his test. She would probably have a very low SQ, just as he would expect. But this is not how I am used to approaching the question. I never think of religion as something I have to ‘get’ or ‘be good at.’ Religion, or as Christians would rather say, faith, is a gift of God who loves us freely. But perhaps it is easier for some people to receive faith than others. Take Thomas, for example, ‘Doubting Thomas’ as he has come to be known– the disciple whose story is told in John 20:24-29. Faith wasn’t easy for him. 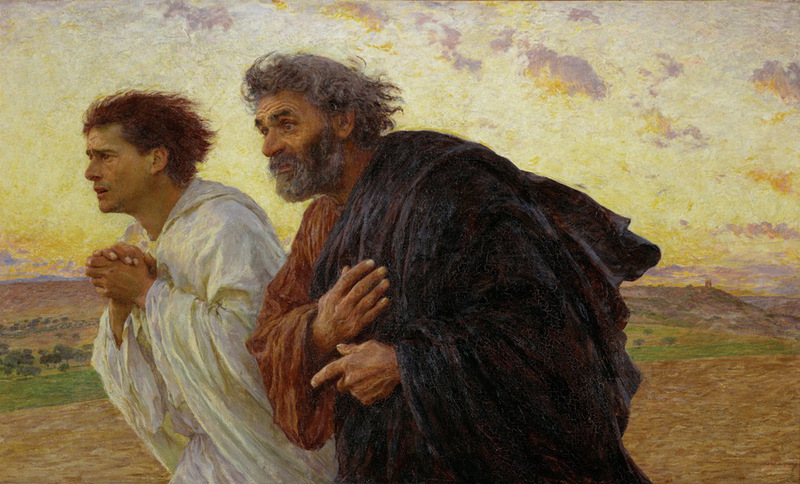 The other disciples had seen the risen Lord Jesus, back from the dead, but Thomas had missed it. And even with his ten best friends telling him that Jesus was alive, he would not believe it unless he saw him for myself, he said, and ‘see the nail marks on his hands and feet and put my hand on his wounds.’ Earlier in that same chapter, John had believed without seeing. He had heard from the women that the tomb was empty, so he went to see for himself. Jesus was not there, and even though John had not yet seen Jesus, he did see that the tomb was empty, and that was enough for him. Verse eight says he saw and believed. It must have been easy for him, because at that point, there were still other possible explanations– somebody may have just moved the body. Peter also saw the empty tomb, and he seemed to take a more cautious approach. It does not say that he believed yet, like John, but neither did he say like Thomas, ‘I will not believe.’ Peter, says the text, ‘wondered about it.’ But John saw only an empty tomb and believed. Easy for him, but not easy for Thomas. Thomas would have scored low on that psychiatrist’s spiritual quotient test.